Well I'm still here! 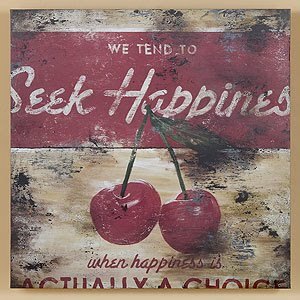 Look how I let weeks go by without a post! So many plans and ideas, so little time. I finished two books, Ahab's Wife and Backseat Saints. Both worth it if you are looking for a new book to dive into. Ahab's Wife is written in the style of the late 1800s. Think Little Women or Anne of Green Gables. I thought it was wonderfully refreshing. 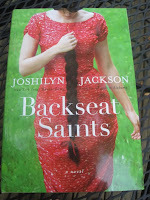 And Backseat Saints, the latest from a favorite author of mine (Joshilyn Jackson) is a total page-turner! Be prepared to go without sleep reading her Southern women-based fiction books. What is going on in Pensacola? The usual stuff: heat, humidity, thunderstorms. My aunt has been visiting from California. We got to shop for fabric together and she and I got a little time in to visit. Never enough though. My grandson is growing like a weed and adding to his vocabulary every day. He grew an inch in the last month. Now he is working on potty training. Already! Isn't this the coolest picture of him making a shape with the water from the hose? This is his favorite toy. He calls it the "Ohse" and he will soak himself happily for as long as water will come out of it. Must be a combination of the summer heat and him being a Pisces. That boy LOVES water play! So, about that WIP. I started this a year or two ago. I saw the pattern in Quilt magazine (October 2006) and I had all these leftover 4 patches from a Bonnie Hunter mystery quilt, so I started putting colors together and pulled together a scrappy Country French-colored assortment. I think I put it all in a box and moved on to other things because I couldn't come up with an arrangement that did not look like a calamity. You know what is nice about WIPs (or UFOs) ??? The cutting is all or mostly done already. If you are like me, you have everything, including the pattern and fabrics you haven't cut all together in a box. If only the pieces had arranged themselves into something not so hectic. And still I persist, uh, persevere stubbornly refuse to give up on it. I am just starting to play around with the arrangement here, but it is definitely scrappy. Because I sew at work a lot, my husband suggested I could call it "Bad Day at the Office." Maybe it could be "Wild Turkey" and people will just think I was drinking when I made it. I won! Just in time for my birthday too!